Ford and Toyota gave up on their two-year partnership to develop a gasoline-electric hybrid powertrain system for full-size trucks and SUVs in favor of pursuing their own systems individually. The collaboration seemed like a match made in heaven. Ford is the lead seller of full-size trucks, and Toyota dominates the international hybrid market. Ford, who is gaining share in the hybrid market, is seeking to come up with a battery-reliant, rear-wheel-drive hybrid system of its own in the next decade. Hybrid drive systems by nature are front-wheel drive. The reason you do not see larger hybrid vehicles, such as full-size trucks and SUVs, on the market is because they would require a rear-wheel drive. Building hybrid technology for these light-duty trucks is imperative in order for companies to comply with the upcoming federal fuel economy standards. 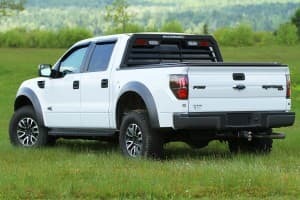 This is particularly important to Ford, the lead seller of full-size trucks. By continuing to develop a rear-wheel-drive hybrid system on its own, Ford can extend their advanced hybrid technologies to include their biggest seller and increase their overall hybrid market share tremendously. This year alone, Ford is expected to hire 3,000 white-collar workers, all primarily in technical fields such as information technology, engineering and design software. Ford is also expected to expand research facilities in order to increase its development of hybrid technology. Toyota, on the other hand, emphasized its continued growth in the hybrid market and its global dominance in regards to hybrid technology’s research and development. The point being, Ford still has a lot of catching up to do. In California, Toyota’s hybrids make up approximately six out of ten such vehicles. In fact, Californians bought five times more Toyota hybrids than all of Ford’s passenger cars combined. Toyota has a long history in hybrid technology. It introduced the first generation Prius in 2000, expanding that number to four last year. The Prius is Toyota’s golden child, not only is it the number one selling car in all of California, but Toyota has sold nearly 1.5 million Priuses across the nation in the last decade alone, almost all of which are still on the road today. Along with the Prius, Toyota has six other hybrid models, including the popular Camry, Highlander and Avalon. However, despite going their separate ways, Ford and Toyota announced they will continue to evaluate other areas for future collaboration such as the possibility for next-generation standards for telematics. ← Trucks, the way to go!